London, ON, Canada/Bangkok, Thailand – November 21, 2017 – Aviation Management Software leader, WinAir, is proud to announce that Thai Aviation Services Ltd. (TAS) has fully implemented the latest release of their industry acclaimed software solution, WinAir Verison 7, and is now live with the system. 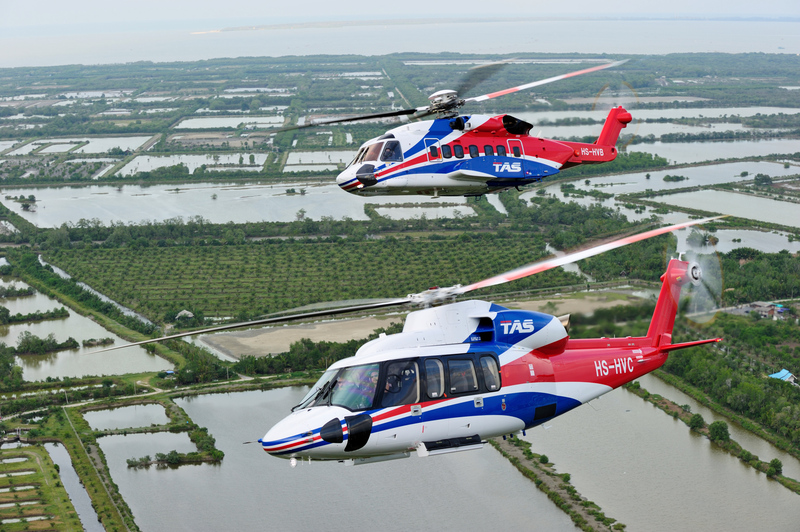 TAS, a Thai-owned and operated helicopter service provider, and prominent player in the Asia-Pacific offshore oil and gas industry, relies on WinAir Version 7 to efficiently and effectively manage their helicopter fleet maintenance programs, along with their overall business operations. TAS commands a mixed fleet of Sikorsky S-76D and S-92 helicopters. 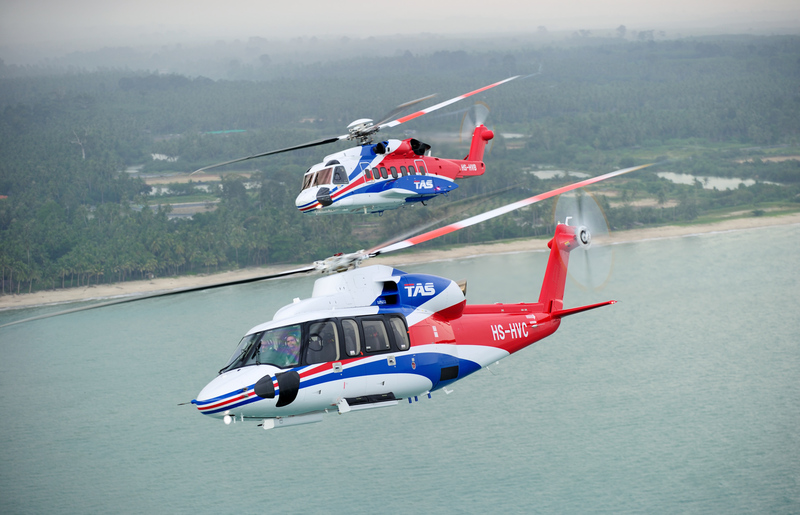 The company entered the offshore helicopter market in 1987 and by 2016, had fully solidified their position as a leading air operator in the Asia-Pacific region. This prompted TAS to research the market for the best aviation management software. They required a dynamic solution with easy to use processes that could help to increase productivity. TAS determined that their organization needed this software to be robust and fully scalable, with a proven track record for streamlining operations and assisting organizations with achieving their business goals. That’s why TAS selected WinAir Version 7—because they knew that WinAir was trusted by operators worldwide and that the software platform would provide full administrative oversight and allow for organizational growth. WinAir Version 7 is the ultimate aviation software package for organizations looking to take charge of their day-to-day business practices. It sets the standard for all other maintenance software vendors to emulate. With its simple user-friendly interface, solution scalability, and comprehensive system flexibility, WinAir Version 7 is a sure fit for business owners that are focused on taking charge of their operation. Get in touch with WinAir today to schedule your time for a custom WinAir Version 7 demonstration with a Solutions Expert! Thai Aviation Services Ltd., (TAS) is a privately-owned Air Operator Certificate holder registered in Thailand. For over two and a half decades, TAS have been playing a significant role as an air operator, providing helicopter service for the offshore operations of oil and gas producing companies, throughout the region, including Texaco Exploration (Thailand) II Ltd., Chevron Offshore (Thailand) Limited and Chevron Thailand Exploration and Production Ltd., BP Norge AS, PGS Geophysical, GFI Oil & Gas U.S.A., INC, Pearl Oil (Thailand) Ltd., PGS Asia Pacific Pte. Ltd., PTT Exploration and Production PLC., and Total, among others. TAS currently operate 10 aircraft in their fleet, and have over 70 pilots and 60 aircraft engineers, along with other professional and experienced management personnel. TAS’ capabilities include offshore support, medical evacuation, search and rescue, hoist operation, sling operation, aerial photography, and VIP commuter services.